January 17, 2018 UPDATE: following 3 years, 2 hurricanes and CA wildfires in 2017, please add 20% to these figures for more realistic pricing! The most common question: "how much is a custom modular home?" This is one of the toughest spots Builders get into. No two projects or clients are ever the same, which makes budget projections a challenge each time a customer wants to know how much a modular home is going to cost. (It partly explains why licensed MD home builders must register with the Attorney General's office of Consumer Protection!) So how do we answer a perfectly fair question about modular home prices? Modular factories (and the media) love to talk up how inexpensive their homes are compared with stick-building. What they accomplish pushing this amateurish PR message is creating false expectations for clients about pricing for modular homes. Why? Because while you can expect to save around 5-10% apples-to-apples, plus much shorter loan carrying costs, you should not expect to save 30%, as some say. Much of a project's cost is site-related, so how can they lay claim to what is not in their domain when discussing modular home prices? Fact is, home building is a business with so many unknowns that it can take more time budgeting than designing... which is antithetical to a successful project. Often a builder is obligated to give the prospective client something to work with in pricing for modular homes, but faces being "shopped" around for a better price. And everyone wants a good deal, right? But fear NOT! ... Do not slump in your seat in despair. MOST OF US ARE GOOD GUYS! Just take your time, and research. In the end, the cost of modular homes is less than the cost of their stick-built counterparts, while offering better quality, much faster build-time, and more energy efficiency. I can't say this often, but, if the bank likes it you should love it: the genuine beauty of modular home construction -- and prices on modular homes -- is the containment of dreaded unknowns commonly associated with stick-building. You can have greater confidence that the overall modular home price will match your expectations. When you build with 9-to-5 production craftsmen in an air-conditioned production facility, you get production accuracy with tighter tolerances. When you build inside, out of the rain, wind and snow, you get unparalleled quality control. When Inspectors have safe, easy access to your home to check for code compliance, you get fewer oversights and greater build confidence. So what do we deliver on set day? A nearly finished product that banks can happily authorize payment for. Because "field adjustments" (politically-correct speak for cover-ups of screw-ups made while building onsite) are largely eliminated, and everyone works in harmony, you get a better product with no hidden problems or cost overruns to pay for in the overall pricing for modular homes. This is, in essence, the "Performance" of Truth In Building. How can I find out what plans fit my total project budget? 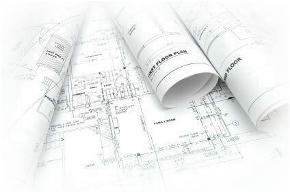 Site Plans - detailed design plans by a licensed Civil Engineer for the Lot that include everything required for your builder to apply for a building permit (for home itself). Costs vary from $5K-$15K. Site Work - this is the actual work done by your builder, as prescribed in the Site Plan. Work includes lot clearing, utilities connections, storm water management features, excavation and grading, and can range from $5K to $75K and more for difficult sites. Permit & Impact Fees - these fees vary wildly depending on County and/or local jurisdiction requirements. Range: $4K-$40K. Tap Fees - most public sewer and water utilities charge a one-time fee for connection to their infrastructure. Range: $3K-$20K. Private Septic & Water - if you don't have access to public sewer and water, you'll need to establish costs for Nitrogen Septic System installation and water well drilling cost: $18K-$25K and $5K-$7K, respectively. Every home is unique. It may or may not be possible to build a very high quality starter home of 1,800SF for $207,000 on your developed lot. At the same time, it may be possible to build a larger colonial of 3,000SF for less (like $105/SF). We've found that by building out basement and attic spaces we can increase the livable space while simultaneously reducing the cost/SF. Use the figures above as guidelines only. Contact us for a preliminary estimate of the modular home you want to build based on your specific needs. BUT, you must be specific! Please note that every home is different and it is not possible to price a home without visiting the job site and accounting for all the variables that are unique to every site. What type of soil the home is on, the foundation, the wind or snow load requirements, the distance the home must travel to reach the site and dozens of other factors affect the price of each home. 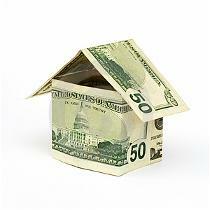 These modular home price guidelines are provided so that you will have some rough idea of the costs involved. They are not intended and are not offered as a quote for home construction. Contact us for more information about prices regarding designing and engineering your custom dream home. As a Design/Build Firm, we make sure you get exactly what you want without the burden or expense of finding an architect or engineer. We keep architectural design and licensed engineering in-house for a turnkey solution. Finish Werks will work with just about all lenders. With rare exception, you can choose any bank or mortgage company (when not paying by cash) for financing for modular homes, and we'll provide a builder application, insurance certs, references, and create a draw schedule. We get to know your loan officer and construction processor. 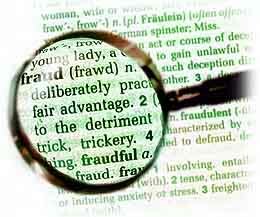 We do not offer an "incentive" for using "our preferred bank and title company". You may have seen another builder present this tactic, which is, in fact, a way of not having to cultivate another relationship. Or he may receive more favorable terms from his preferred provider. The bottom line is, we let you choose any reasonable lender that gives you favorable terms. 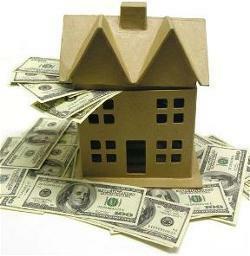 And as long as that lender will work with us during appraisals, inspections, and on draw schedules, we are satisfied too. If you have not already been pre-approved for a Construction-to-Permanent loan, contact Tom Coronato at Citizens Bank on our resources page . He and his team truly put people first. Pricing for Modular Homes, Average Cost of Modular Homes, and Financing for Modular Homes from Finish Werks, Maryland Modular Home Builder.